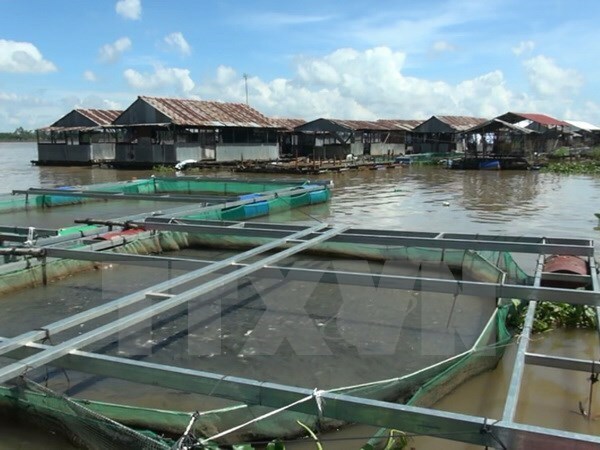 Thua Thien – Hue (VNA) - The total output of farmed and off-shore caught fish of the central province of Thua Thien-Hue reached 30,388 tonnes in the last seven months, showing a year-on-year increase of 18.72 percent. Of the figure, over 20,286 tonnes were caught from sea, up 28.4 percent. Seafood export earned the province around 16 million USD, up 2.1 times. These figures showed the recovery of the locality’s aquaculture and fishing activities after the marine environmental incident last year. As many as 1.01 trillion VND (nearly 44.44 million USD) of compensation from the incident’s doer has been handed over to 41,766 locals from 28 affected coastal communes and townships. In the coming time, the localities will continue assisting those who wish to switch jobs, developing offshore catch and fish farming, towards enabling the locals to secure sustainable livelihoods. The natural resource and environment sector will strengthen marine environment monitoring work to better serve local aquaculture.